Featured Project: Boeing 777 Aluminum Tooling Package — ABW Technologies, Inc. This was a huge job. The drawings listed 1,500 unique components and it required 10,000 parts in total. To ensure the project wasn’t too overwhelming, Project Manager Bob Marks broke the work down into “bite-sized” portions. Staged by segment, we were able to fabricate key pieces in a clear, chronological order. Each project has its own unique set of challenges. Although the build for this tooling package was relatively straight-forward, with good drawings to guide us, we only had a brief window to complete the work. We used a lot of manpower and put in plenty of overtime so that we could deliver the package by deadline. Another challenge was the sheer size of the platform. 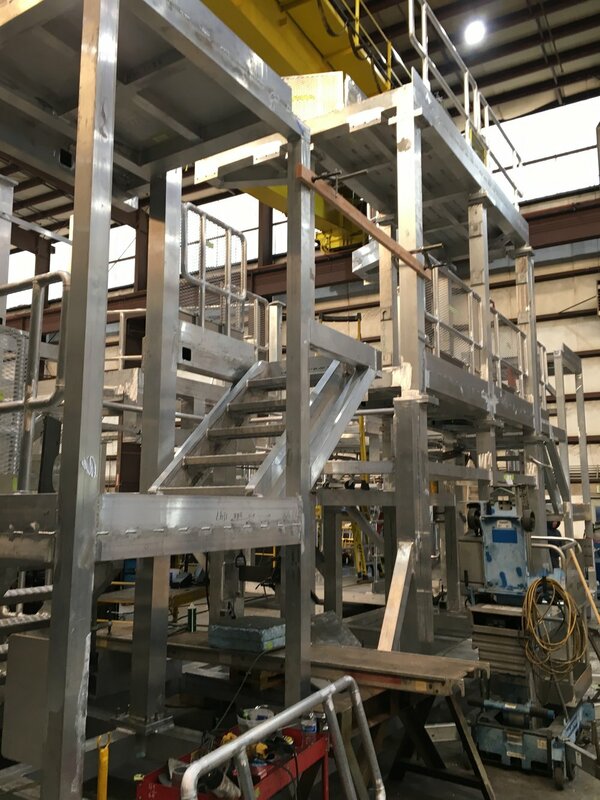 We were required to completely assemble and then dissemble the structure before shipping it to the client. However, in its final form, the platform’s profile was identified as being too tall for our largest fabrication bay. Had we assembled it in full, it would have hit the 70-ton bridge crane that runs across the ceiling. To avoid this, we assembled levels three and four together on the floor, as well as levels one and two. Next, we removed level four and added the third level to levels one and two. This way we could view and test how each level fit together, without needing to stack all for stories at once. Once approved and ready to go, we needed eight semi-trucks to send the platform on its way! Much of the success of this project can be traced back to the unfailing leadership of Project Manager Bob Marks. 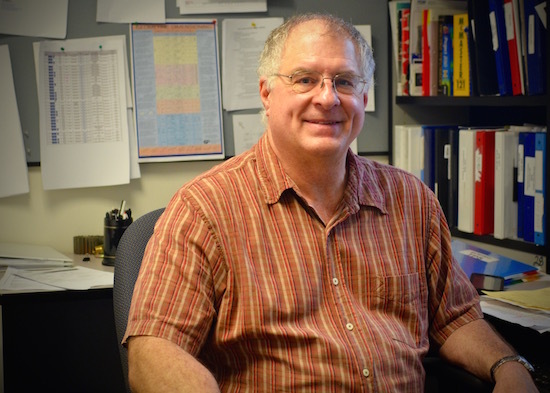 Our most tenured project manager, Bob has been with ABW for 23 years. Bob has an engineering degree from Purdue University and, prior to joining our team, he worked in estimating and project management at other steel fabrication businesses for 15 years. The wealth of experience that Bob brings to our team has proven invaluable time and time again. We’re a full-service, custom metal fabrication company serving the country’s core industries.